Break Free – 21 Days to a New You! 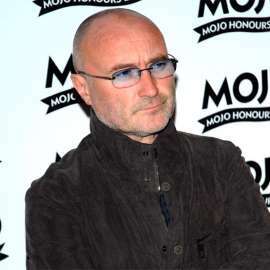 Phil Collins says alcohol almost killed him. The 65-year-old musician will open up about his battle with booze in his new memoir ‘I’m Not Dead Yet’ and admitted that at one stage it was so serious he “came very close to dying”. He told the New York Times: “The book is honest, it’s self-deprecating. “I’m not shirking my responsibilities. You start drinking, then you start drinking too much – then it physically hurts you. Meanwhile, Phil and his third wife Orianne Cevey – who divorced in 2008 and have sons Nicholas, 14, and Matthew, 11 together – rekindled their relationship earlier this year and he couldn’t be happier. What Do People Find Attractive?